Inexplicata-The Journal of Hispanic Ufology: Peru: A Recent Airliner-UFO Near Miss? 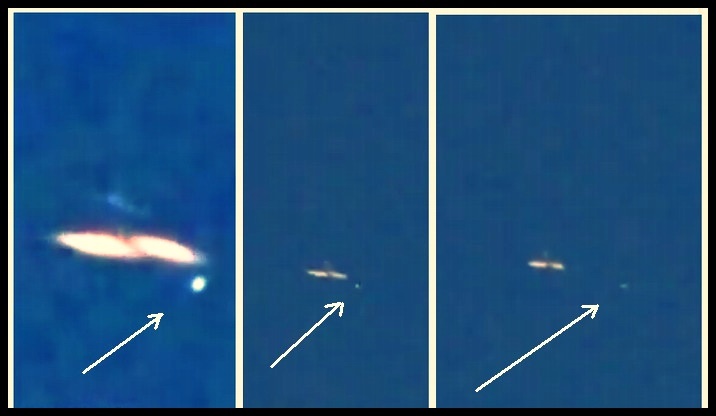 "A luminous UFO was recorded as it flew very close to an airliner. It was taken in the city of Trujillo, Perú, on 22 July 2016. The images were shared on YouTube by user OVNIS ACTUALES on 23 July 2016. 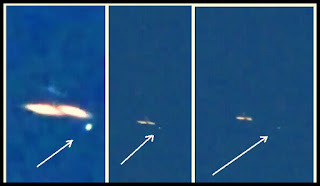 "The clip shows a luminous object crossing the sky at high speed. As the witness records the transit of a commercial airplane, the UFO passes very close to the ceraft. The witnesses did his best to follow the object, but it vanished from sight on account of its speed." Our thanks to Guillermo for this material!